This Masonic ornament commemorates the 200th anniversary of the laying of the cornerstone of the United States Capitol by George Washington, himself a Freemason, on September 18, 1793. 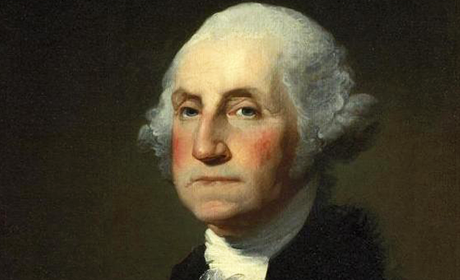 This was one of the most important ceremonies in Freemasonry in the United States, and it symbolized the hopes and expectations of the young nation. 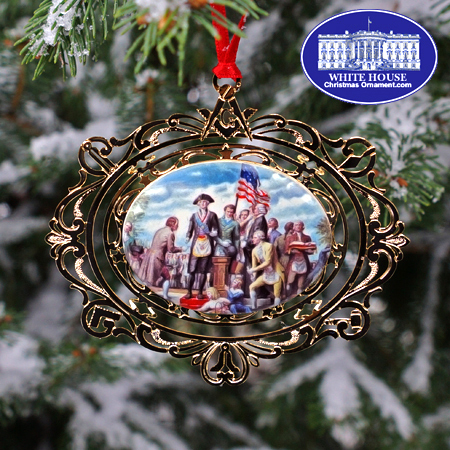 The image reproduced on this ornament in fine porcelain is taken from the Allyn Cox mural at the George Washington Masonic National Memorial in Alexandria, Virginia. Seven five-pointed stars surround the medallion of this ornament and represent the perfect Masonic lodge. Five-pointed stars symbolize the five points of fellowship. Woven into the border in 24-karat gold-finished brass are the working tools of Freemasonry. Clockwise are the trowel, setting maul, level, square, plumb and compasses and square. The "G" for God or Geometry at the top of the ornament completes the border.